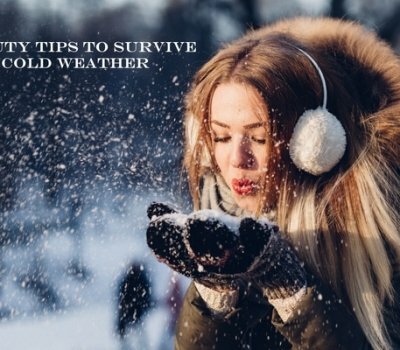 Now that the holidays have officially ended and winter is in full swing, there is no better time to consider adding a few simple changes and beauty tips to your routine. Winter can take a hard toll on our skin causing unexpected dryness, redness, and flakiness but we are here to help you and suggest a few tips that will make your skin’s transition into Spring effortless! First things first, water is key to hydration. Make sure that you are drinking plenty of water throughout the day, at least half of your weight in ounces. This will to keep the skin plump and provide that healthy glow that we all aim to achieve. If you are one of those people who simply just can’t drink water because of the plain and boring taste, you will be amazed at the difference in taste when squeezing a few lemons, limes, oranges, or any fruit of choice will make. Exfoliation is another step you should include in your beauty regimen at all times but especially in the winter. Sloughing off the dead skin cells will allow your other beauty products to penetrate deeper and tremendously improve your daily makeup applications. If you are new to exfoliating we recommend starting off at 2-3 times a week, otherwise every other day is fine. Be cautious not to over exfoliate as this can lead to dryness and cause excess oil production. And remember, “You are only as old as the dead skin cells on your face!” Lastly, using a serum can be very beneficial during the cold months. Serums are highly concentrated and lightweight making them very effective when applied daily to the skin. Because they lack thickening agents and lubricants, they are able to travel deeper into the layers of the skin and can be worn underneath your moisturizer. We hope that you found some of these tips helpful and if you already knew of them, then consider this a friendly reminder. Winter may be cold and frigid at times, but your skin’s appearance does not.